Iranian Revolution. 30 years after. It was, by near-consensus among scholars and experts, the most "popular revolution" in modern times: almost 11% of the population participated in it, compared to the estimated proportionate of citizens who took part in the French (7%) and Russian (9%) revolutions. Wikipedia has a good background on the Iranian Revolution. The Iranian Revolution (mostly known as the Islamic Revolution, Persian: انقلاب اسلامی, Enghelābe Eslāmi) was the revolution that transformed Iran from a constitutional monarchy under Shah Mohammad Reza Pahlavi to an Islamic republic under Ayatollah Ruhollah Khomeini, the leader of the revolution and founder of the Islamic Republic. It has been called "the third great revolution in history", following the French and Bolshevik revolutions, and an event that "made Islamic fundamentalism a political force … from Morocco to Malaysia." What happens on April 25th? On 24th April 2009 Friday morning, it is most likely that the new US President will make an unavoidable and regrettable speech on so-called genocide, to put fuel on an 100-years old sad historical story in order to please his Armenian voters and to repay his election debt. The day after, we may read that Incirlik Air Base is closed to all foreign access. New Turkish foreign policy seemed to have decided not to rely on the Jewish lobby in US that had helped prevent the becoming of this scenario before. One likely idea might be that Turkish leaders believe Turkey has now self-confidence, that she is indispensable in Middle East. So that nothing changes. But more likely idea is that Mr. Obama may try to bypass Turkey. His special envoy did not even visit Turkey… I do not think US or EU countries give much credit to Turkey at the moment and I am not sure if this is right or wrong but this seems to be the case. Turkey is risking her chances, she might win or not. 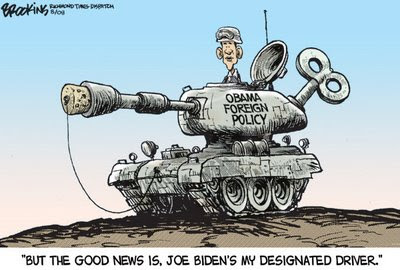 Mr. Obama may have revolutionary ideas for domestic politics but in foreign policy he might have relied on the overall FP structure. Honestly, the best thing he could do would be not to start another war. We will see. But in the mean time, this dark scenario may happen. That is, the closure of İncirlik Base. That seems inevitable. AKP cannot act against a sweeping nationalist reaction. As a news junkie, I may live in the right country. At the moment, there are at least 6 TV channels that specialize in news, that they call themselves as news channels. After bought by Ciner Group, which is heading towards to rebuild its media conglomerate and possibly becoming the second biggest one again, Haberturk became my favorite. In hard news, in breaking news, i guess they invest and succeed more than all others. NTV used to be my favorite since I arrived back to Istanbul in summer 2004. No other channel could challenge them. However, the channel began to introduce some very good talk shows and football programs etc- and it also plays for the high cultural consumption such as Sunday classical music concert programs- gradually although its ratings rose, it lost its power a little bit as a news breaker. Kanal 24 as a hard news channel is trying hard and I rely on them more and more. TGRT Haber is a full time news channel. Their style is a bit boring and but they are better at local news. Sky Turk is never my first choice. But they sometimes offer better and additional coverage. Evidence issue in the Ergenekon case. 1. I am personally not upset that coup plotters and their sympathizers are at least ‘harassed’ during the never ending Ergenekon case. All arrested, detained, investigated personalities are part of dark relations in Turkey’s recent past. One is happy to see that there is a sort of "divine justice" in life. 2. I am suprised that the Case continues even after the end of closure case against AKP. There is a widespread belief that there is an understanding between the military bureaucracy and government now. PM Erdoğan’s pro-State statements and cadre changes in AKP leadership seemed to be evidence for this belief. The case seemed to have lost AKP’s political support. 3. Ergenekon is a very broad, powerful and well-supported network. Its illegality is reversed or justified by a particular civil mode of political culture. There are many civilians who support coups in order to protect the regime. This is still a strong pattern of political thinking in Turkey. One should not forget that in 1960 an elected PM was hanged! In order to protect Kemalism, many civilians would not mind a military coup and even execution of government members. In such a political climate, Ergenekon gang members could easily operate, settle and be protected. Many gang members become inseperable from the rest of smypathisers. 4. Turkish legal system is conservative, backward and has loopholes. In such a political and legal context, it is very hard for prosecutors to operate against Ergenekon. No need to say, system is totally politicized. 5. In order to operate, political and communal support is needed. I do not mind that prosecutors have some "backing". 6. In order to operate, there might be some violations of "procedures", that are constantly highlighted by secularist circles. "procedures" that are never settled, that are constantly manipulated. Same procedures that were not criticised when PM Erdoğan was imprisoned before, when Beşir Atalay, current minister of interior affairs, was thrown out of his university years ago, when pro-Islamic columnists were detained in the same like some columnists are now detained…. 7. Despite my support in general, I have to admit that the Case process sometimes becomes too problematic to support. the Indictment itself is an interesting text but messy, long and evidentially weak. 8. I feel better with the latest wave of arrests after which hidden weaponry is found. Technical analysis finally secured the fact that some newly found grenades are now part of a group of grenades that were found initially in Ümraniye, İstanbul that started the whole process. 9. I understand that some of the arrests are just meant to harass pro-coup personalities who does not have any organic membership with the gang. But evidential connections have to be secured. Only after hard evidence, this very difficult process of Ergenekon case can continue and maintain public support. 10. But how can there be more evidence? That’s a hard task. Turkish intelligence seems to be divided. Only some can provide direct help. Army intelligence act mostly after the fact. Evidences can easily be hidden or destroyed under the cloud of sympathy in several levels of bureaucracy. Police forces can be helpful but according to media reports, which are themselves quite suspicious, evidence is not collected properly (such as data found in computers are not registered according to proper procedures) and despite good intentions, evidence is corrupted most of the time. 11. In case of lack of hard evidence, evidentiality of the case becomes inevitably political. If there was a strong mainstream media support, instantiation of strong evidentiality could be more easily achieved. This also lacks. 12. If political support is secured limitedly through some negotiations, then there will only be some victims, and Ergenekon case will be closed without much sensation at a particular moment. 13. If political support is secured strongly, then there will be sensational conclusions. If AKP secures another big victory in March elections, this might lead to a strong political support for the case. …he produces one of the most humane portrayals of Atatürk. The film Mustafa demonstrates once again that Kemalist clergy (intellectuals, opinion leaders, cultural producers), cannot accept Mustafa Kemal as a human being. It is a suprahuman heroic entity. He has prophetic qualities. Any other portrayal is blasphemy. Can Dündar is a well-intentioned Kemalist but he could not escape being accused by these people and their militant disciples. I have watched the movie/documentary with a girl who started blurbing against the director before the movie and continued afterwards. This good work of biography has no meaning for her and others. I would recommend the movie. It is too personal, it might ignore some of the social aspects of the early Republican years but it certainly gives clues to understand. Oh boy, those men and women around him in his later years are so familiar. He was surrounded by sycophants. He lost his closest friends and allies in political trials and he ended up surrounded with these people who would be the base of later cult of Kemalism. The cult was the reason of their existence and so they fed them. This still continues today. Mustafa Kemal is a heavy smoker and drinker. He cannot sleep at nights, lonely and he cannot seem to have long term relations. So what? I would not lose my respect because of these but today’s Kemalist clergy is socially conservative as much as Islamists are. So this portrayal hurts them…. In the mean time, militaristic propaganda knows no boundaries in major Turkish TV channels. Those respected anchormen/journalists like Uğur Dündar and Mehmet Ali Birand have spent considerable amount of prime time coverage from commando education centers this week! Just watch the prime time news, you will see what I mean. This week most of the members of Turkish government got briefed at the commando center! Oktay Eksi: Quo vadis Turkey? Where are we heading towards? We need to confess that we feel a sense of fear when we look at the prime minister’s recent remarks and attitudes that support our previous concerns which have been raised in this column on related issue." PM Erdoğan fallen out of grace. I hereby declare: for Erkan, PM Erdoğan is fallen out of grace and there is no more political support. Though Erkan knows in all modesty, this will not have much impact on the political scene. * He is (in)directly responsible for not initiating legislative move to stop growing web censorship in Turkey. * Just talks too much and mostly phatic talk. * Showyness in South Eastern cities. Nothing substantial done in Kurdish issues. Attacking the already politically weakened DTP continuously. Local Kurds may think PM Erdoğan’s latest visits to the region as a show of force by the State. * His attack against Taraf daily. This paper’s claims are not really investigated. Stamped out by the army and government alliance. * His attack against Doğan Media Group. If you did not have any substantive evidence why did you do so much bitching? * Torture continues under his party’s rule. Slow acting in Article 301 and indifference to web censorship. * His desire to win the municipalities of İzmir and Diyarbakır. So what will happen when you conquer all? Is this that important? With the power and voter percentage you already have, you could have done a lot and you basically did not do. * Appointing the same candidate for the incoming Istanbul municipality election. Mr. Topbaş did not provide us much comfort. All show of construction work throughout his administration years.I remind you two years of muddy Istiklal Street. Cheesy populism in metrobus system. Increased traffic jam for the car owners. * No sense of humor. I thought after yesterday’s speech Mr. Erdoğan would not talk back immediately, and i spent the day out without recognizing today’s speech until the evening. Well, Mr. Erdoğan gives "1 week" to correct the false news disseminated by Doğan group dailies. Mr. Doğan replied back in Kanal D to declare that his media will not be an obedient media in sum. I found Mr. Doğan a little bit scared. But only a little bit. He has a giant media empire, his journalists occupy many Press institutions, his daughter is the head of powerful businessman association, TUSIAD. Although he said last night "all state institutions belong to AKP, they can finish us easily, we know that things do not work like that. A leftist TV channel, Hayat TV was closed nearly all summer and no body could help that but DMG is not a small marginal media group and dynamics of politics is much more complicated. Never politically correct Mr. Erdoğan waited for more than 2 years to attack back, and only after the Constitutional Court case, he felt more secure to start the battle.